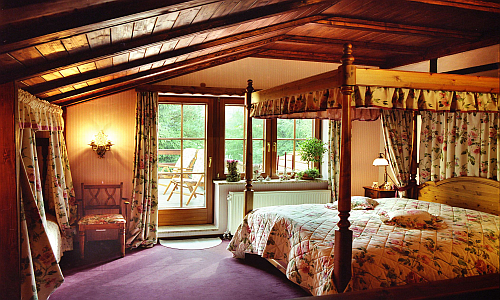 In 1990 we started to build up at the place of a farm a cozy hotel in a country house style. If you past the hotel you will be surprised to find such a romantically hotel behind the front. 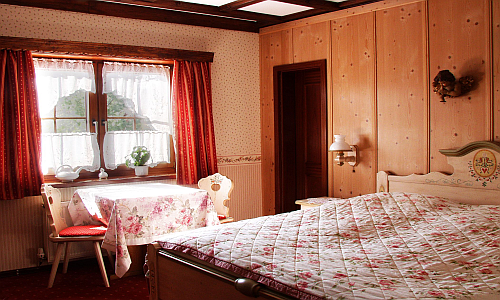 All our rooms are individually furnished and lovely decorated in a typical country house style, creating a light and romantic atmosphere that makes you feel at home – everywhere you will find style wallpaper and no white walls. All rooms are located offside of the street. 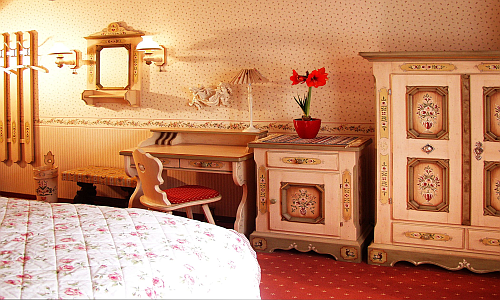 In our affectionately decorated Romanticsuite you will find a four-bed and comfortable couch, a generous bathroom with bath tub and a balcony to the garden area. 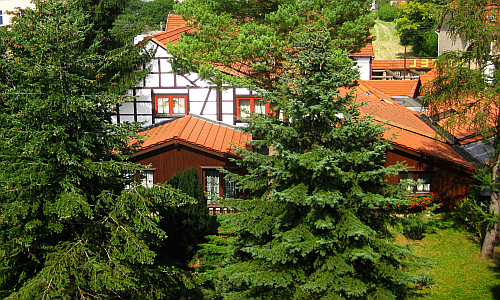 The Landhaus Hotel Romantik is a personally managed private hotel. 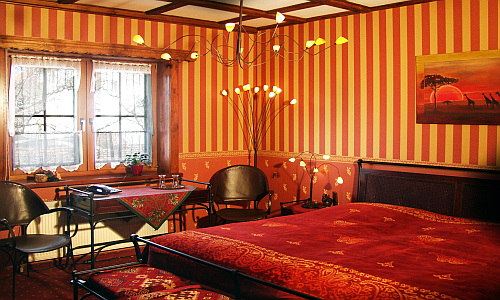 With our philosophy – romantic hospitality – we like to make your stay as pleasant as possible. and culinary experience will make it to a harmonically package. You can park your car in our free car park. 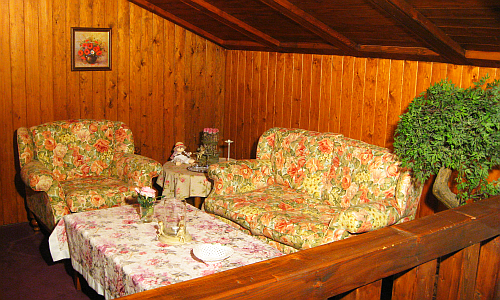 The large romanticsuite (approx. 40 m² living space) is in a quiet location offside of the street facing the garden. 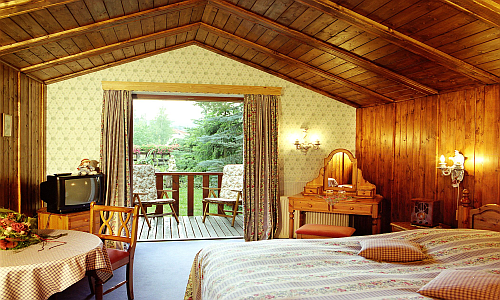 The Romanticsuite is equipped with a canopy bed and a balcony with a view to the garden. They are also equipped with a spacious bathroom with shower and tub and 2 washbasin, flat-screen TV, hair-dryer, dressing table, separate seating area, radio and telephone. Our room rates include free use of the parking spaces on the hotel premises and if you have booked the wellness rate free access to the sauna is included as well. Our spacious suite with a living space of approx. 37m² consists of 2 rooms which can be separate through a curtain. The suite is equipped with a canopy bed. They a bathroom (with toilet and shower facilities), flat-screen TV, hair-dryer, dressing table, separate seating area, radio and telephone. Our room rates include free use of the parking spaces on the hotel premises and if you have booked the wellness rate free access to the sauna is included as well. 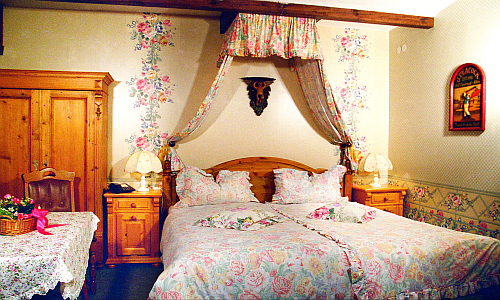 Our romantic double room deluxe rooms facing the garden and partly terrace They have a bathroom (with toilet and shower facilities), hair-dryer, telephone, dressing table, radio, and flat-screen TV. Our room rates include free use of the parking spaces on the hotel premises. 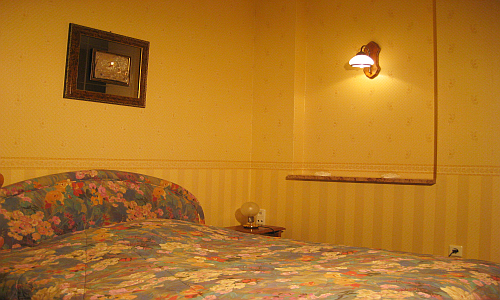 Come and stay in one of our standard doouble room in a tasteful romantic ambient. Standard rooms are located offside of the street. 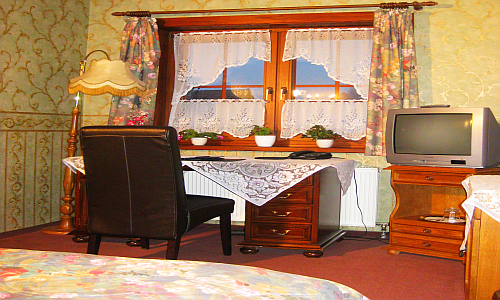 All rooms are equipped with bathroom (with toilet and shower facilities), hair-dryer, radio, telephone and flat-screen TV. Our room rates include free use of the parking spaces on the hotel premises. Our single rooms are equipped with a bathroom (with toilet and shower facilities), telephone, hair-dryer, radio, and flat-screen TV. Our room rates include free use of the parking spaces on the hotel premises. On request our double rooms are available for single use.